The Zanzibar model invites you to escape to heavenly beaches in Tanzania. 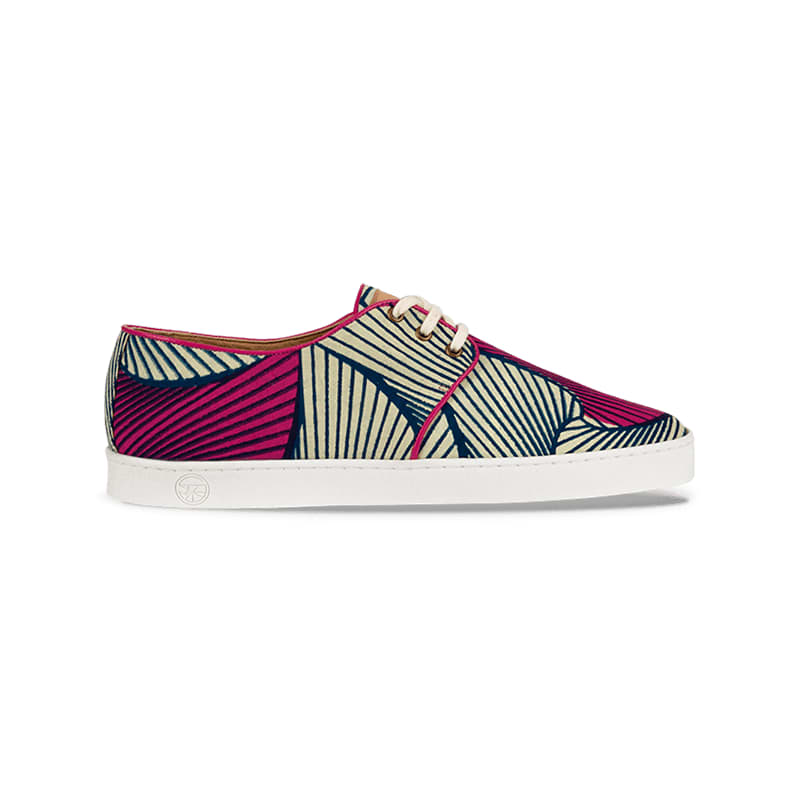 This colourful hypnotic wax fabric sneakers will be perfect for your sunny days. With a slight dress or a light jean, you will shine with this beautiful pair of shoes.